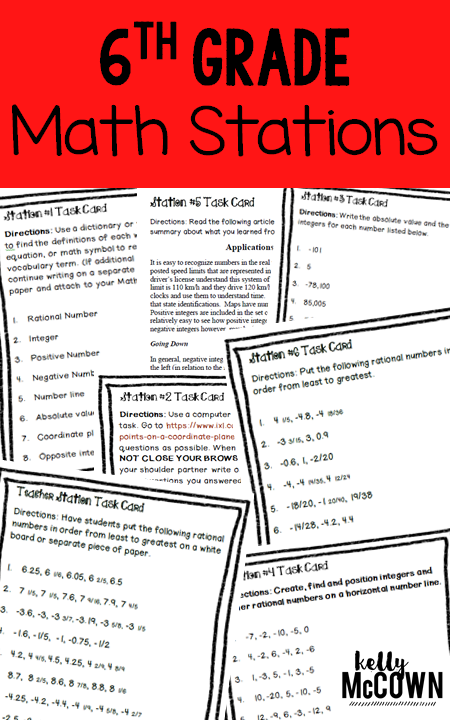 Do you use Math Stations in your classroom? Do you want to help your students review in a meaningful way? Do you want to engage your students in the Math content? I was hesitant at first when I started using Math Stations, but quickly found out how valuable they are! Math Stations (also called Math Workshops) is a system of different types of activities in the classroom for the students to complete based on the same topic. 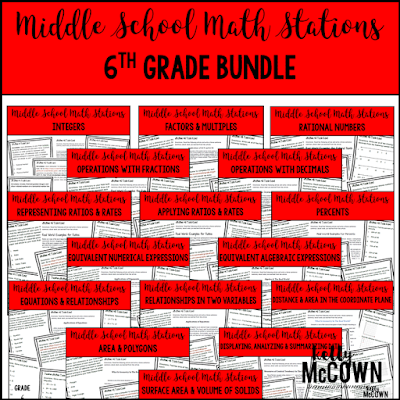 I have created the 6th Grade Math Stations BUNDLE to cover all of the Math topics related to grade six and also cover all of the sixth grade common core standards. 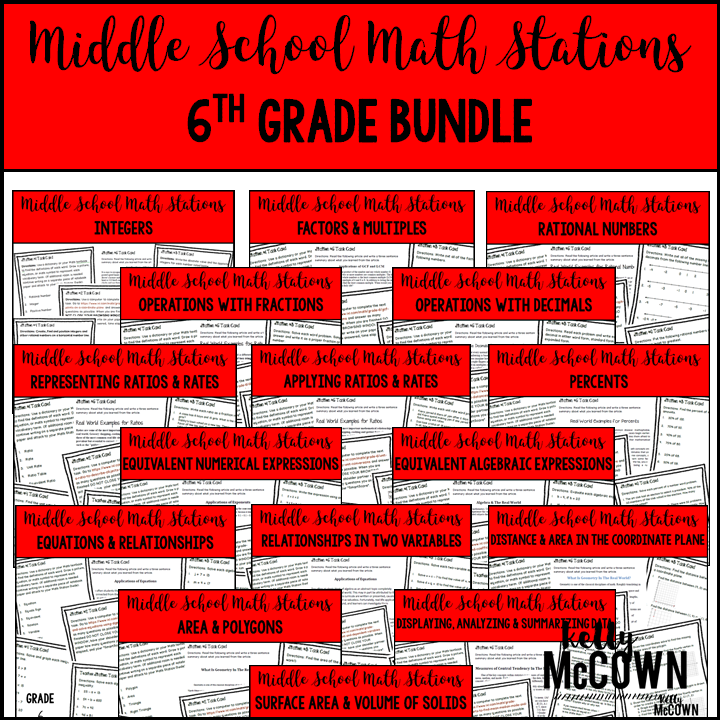 This Middle School Math Station Bundle is a COMPLETED BUNDLE covering ALL 6th grade Common Core Standards!